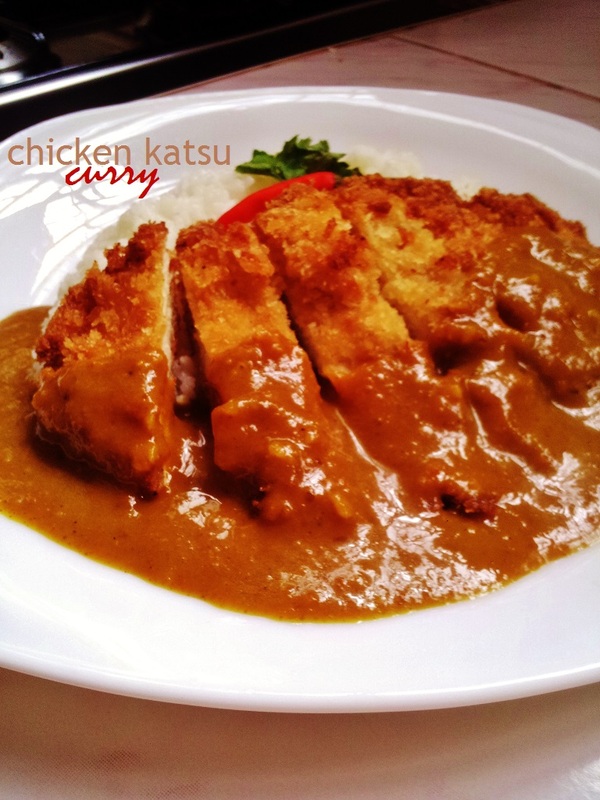 Looking for a way to spice up your chicken katsu!? Then this recipe is exactly what you’re looking for! 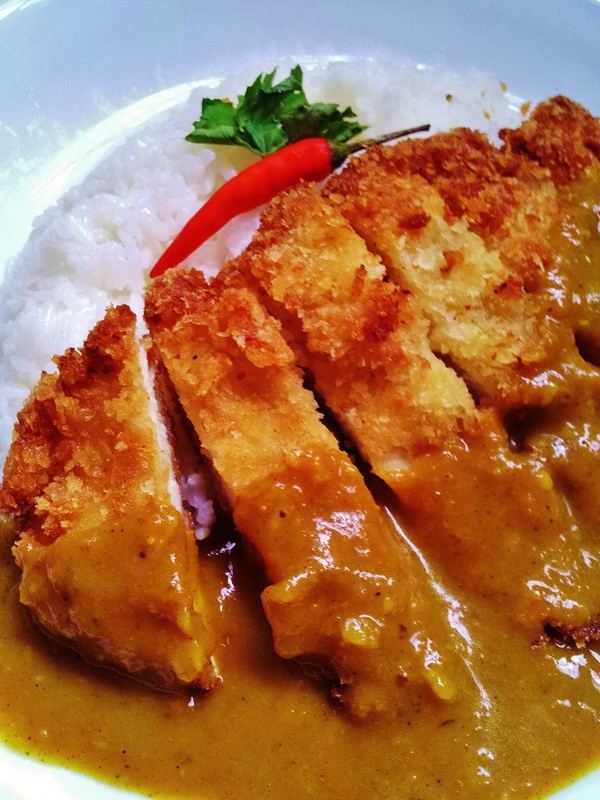 Chicken katsu curry is a very famous dish that’s been popularized in the UK by a Japanese restaurant called “Wagamama.” I’ve heard from the extremely idolized celebrity chef, Gordon Ramsay, that Indian dishes such as curry are loved in the UK. This curry is not your traditional Indian curry, since when you think of soy sauce, it’s a condiment we don’t normally affiliate with curry. But since this is a Japanese dish, it is very appropriate to add a hint of soy sauce in this Japanese and Indian fusion dish. Saute onions, garlic, and ginger until the onions become soft. 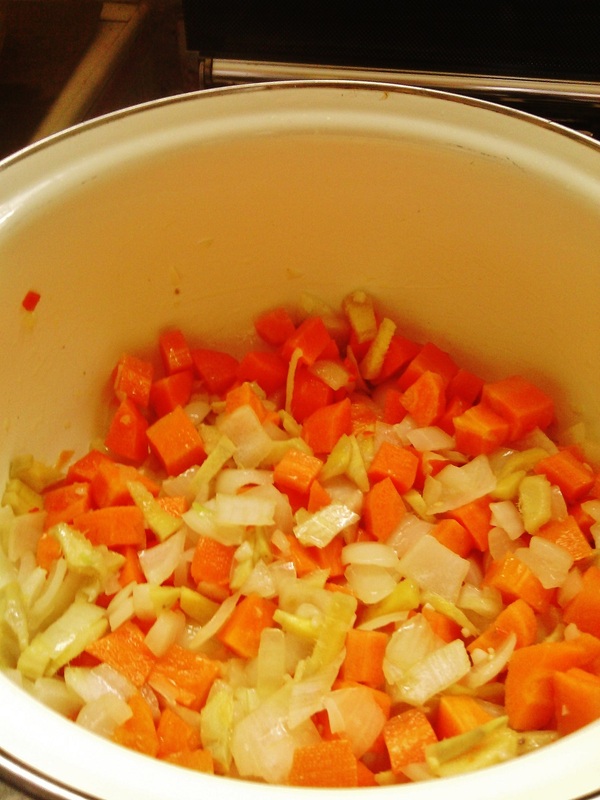 Stir in chili pepper, and diced carrots, and cook for 10 minutes. 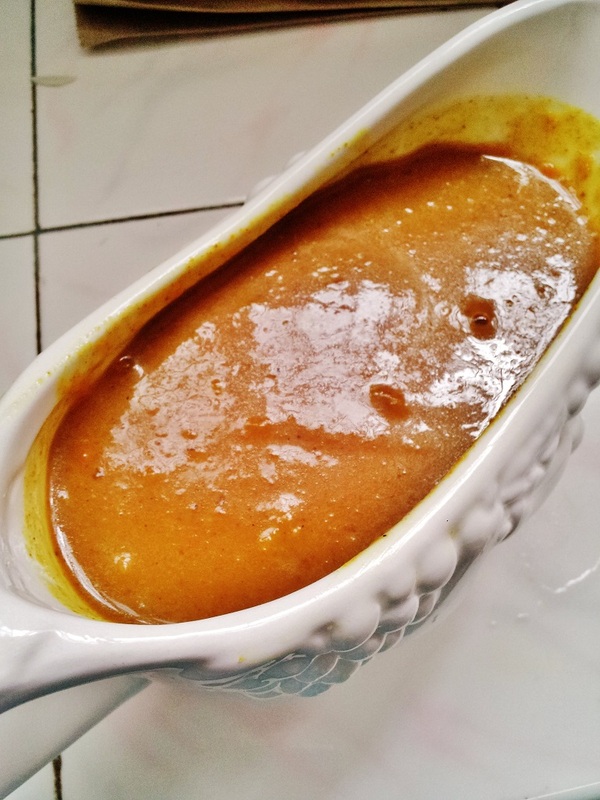 Spoon in the curry powder and stir until onions, garlic, ginger, pepper, and carrots are well-coated with the powder. Slowly pour in the chicken stock, honey, and soy sauce. Simmer on low heat, uncovered, for 15 minutes. Stir in cornstarch that’s been diluted in water, and continue stirring until sauce thickens or until it reaches desired consistency. 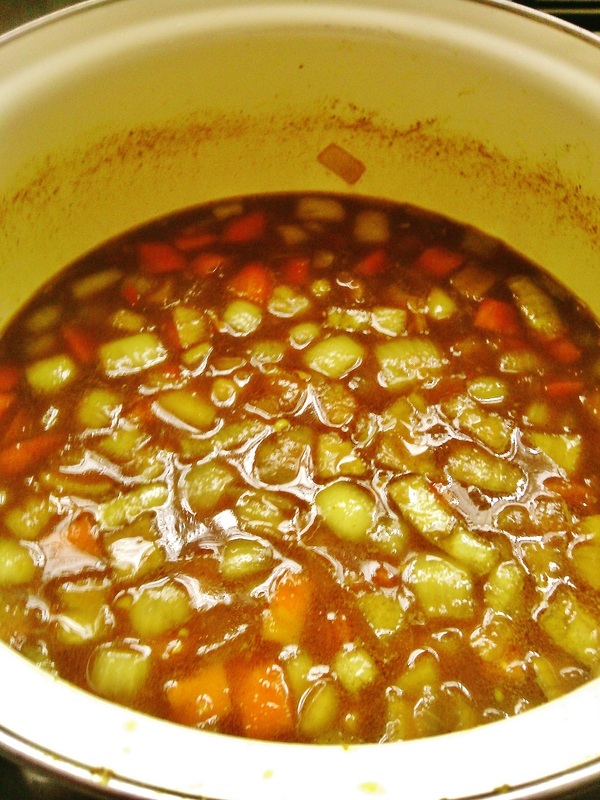 Turn off heat and finish with a knob of butter, and whisk until butter is all melted. You can leave it as is. But for a smooth consistency, just simply use an immersion blender or pour sauce in a blender and blend away. Place flour (that’s been seasoned with salt and pepper), egg, and breadcrumbs in separate bowls and arrange them in a row. Preheat oil in a shallow pan over medium-low heat. 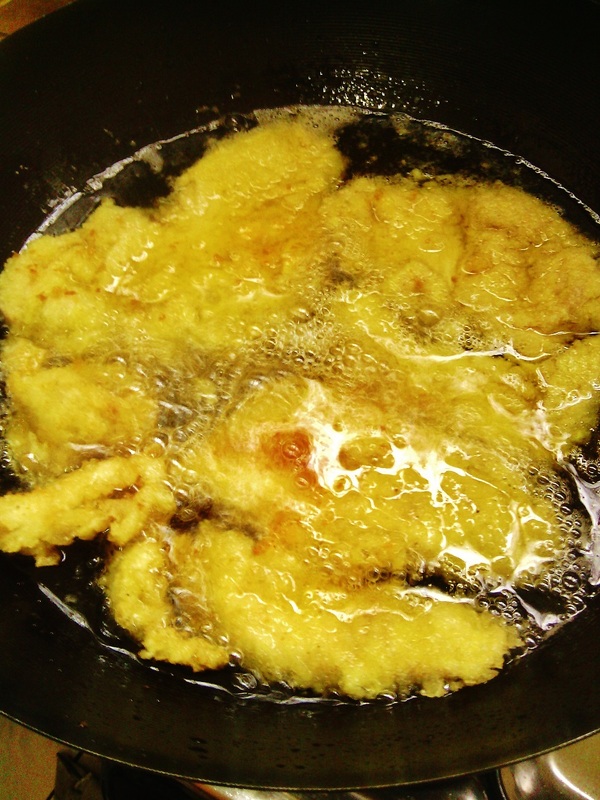 Coat the one chicken breast at a time with flour, then drench it in your beaten egg, and lastly, your breadcrumbs. Shallow-fry chicken breasts until golden brown on both sides and cooked all the way through, total of 8 minutes. Transfer to a plate lined with paper towels to drain excess oil. Slice the chicken breast into strips, serve on a plate on or over rice, drizzle over the curry sauce, and garnish with green onions or parsley. 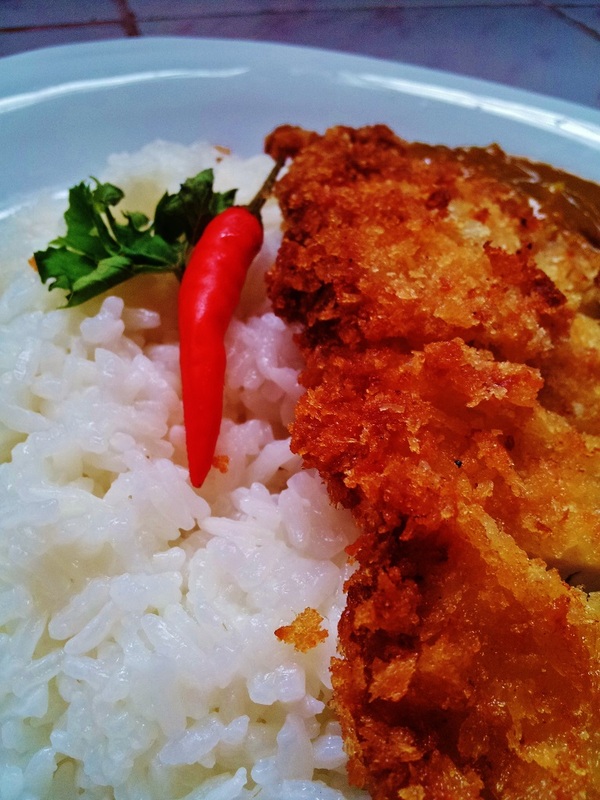 This entry was tagged chicken katsu, chicken katsu curry, chili pepper, curry, food, homemade, Indian food, Japanese food, lunch, misscarmeljoyinthekitchen, Wagamama. Bookmark the permalink. 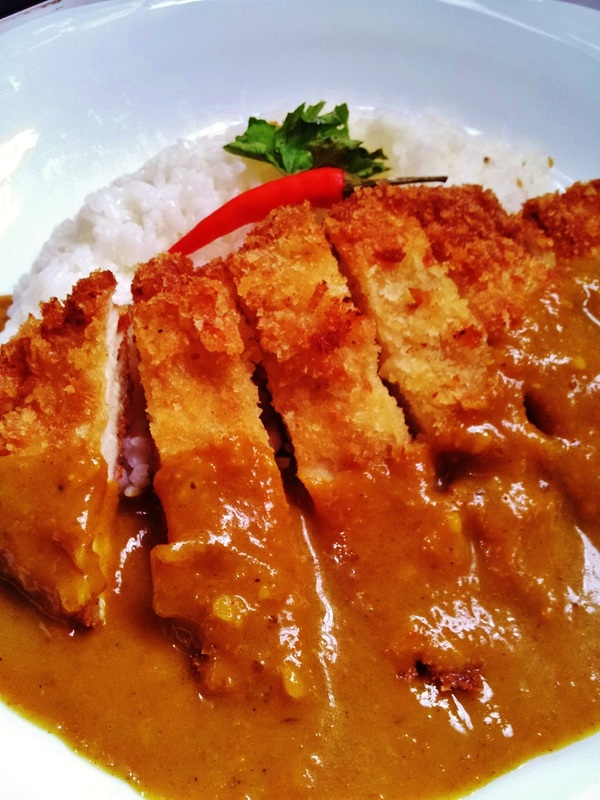 Pingback: Review: Monster Curry @ Ion Orchard | Ohh, honey!